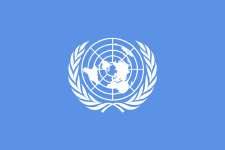 The United Nations Secretary-General’s Database on Violence Against Women provides information from the responses received from Member States to the Secretariat’s September 2008 questionnaire on violence against women, subsequent updates as well as some additional information as detailed here. To review the database, click here. Say NO – UNiTE to End Violence against Women is a global call for action, launched in November 2009, on ending violence against women and girls. It is presented by UNIFEM as a contribution to advance the objectives of UN Secretary-General Ban Ki-moon’s campaign UNiTE to End Violence against Women through social mobilization. UNIFEM Goodwill Ambassador Nicole Kidman is the Spokesperson of Say NO. To visit the Say NO – UNite web site , click here. On February 4, 2011 Rashida Manjoo, UN Special Rapporteur on Violence Against Women, rounded out her U.S. fact finding tour with a roundtable discussion about sexual violence in the military. The discussion, hosted by Service Women’s Action Network, took place on Friday afternoon and was attended by advocates and survivors of MST. Read more here. November 25 through December 10 2010, the United Nations and countries around the world are celebrating 16 Days of Activism against Gender Violence. This event was created by the Centre for Women’s Global Leadership (CWGL), with the support of other activist groups. The dates for the event were chosen specifically to coincide with the following days; International Day for the Elimination of Violence Against Women (Nov. 25th), International Women Human Rights Defenders Day (Nov. 29th), World AIDS Day (Dec. 1st), and International Human Rights Day (Dec 10th).